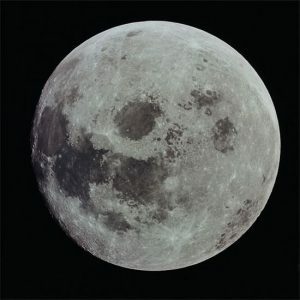 This Full Moon has heightened effects on us for two important reasons: first, the zero degree aspect, secondly, it is also a SuperMoon (i.e., the Moon is at its closest distance to the Earth). All of this increases emotionality and fosters larger shifts in consciousness. 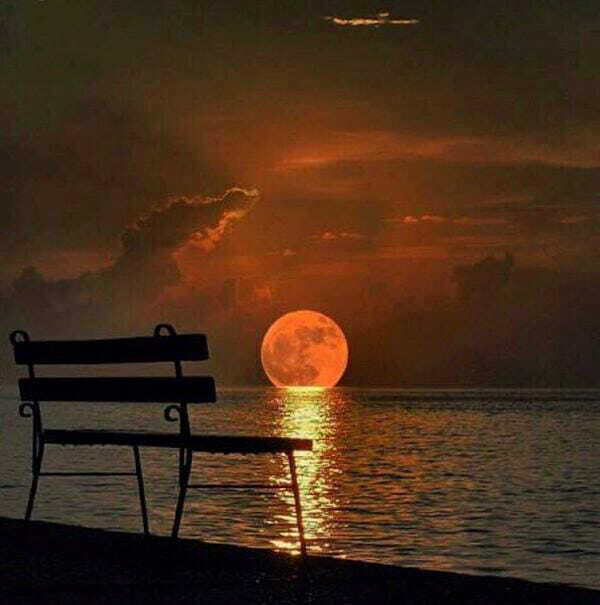 This particular Full Moon occurs on the day of the Vernal/Spring Equinox, in the midst of the Mercury Retrograde phase in Pisces; it quincunxes Uranus in 0 degrees of Taurus. 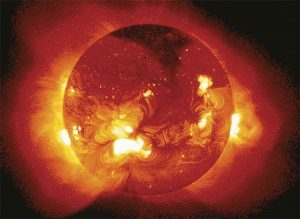 Meanwhile, Chiron (in almost 2 degrees of Aries) conjuncts the Sun in Aries and opposes the Moon in Libra. 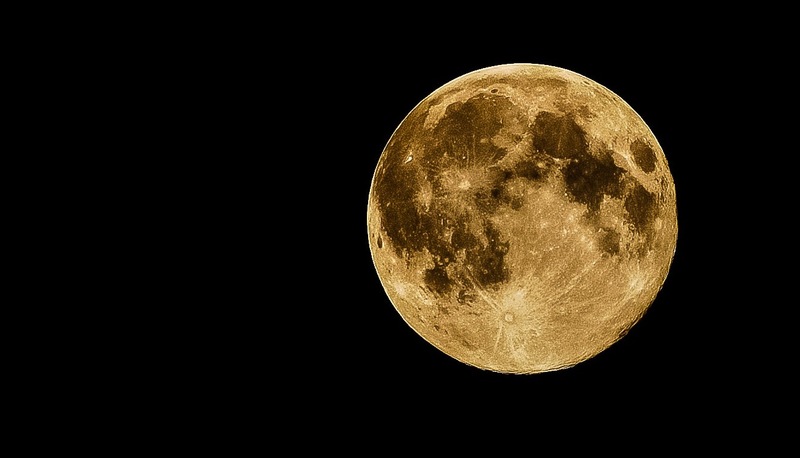 So, we have several things going on here with this Full Moon and we will address all of them in a moment; feel free to also watch my Members-Only Full Moon video here. Late in the evening on Wednesday (March 20th), the Moon enters Libra; this starts the energetic build up towards the Full Moon — and only 15 minutes later, the Sun in Aries opposes the Moon in Libra. The Libra-Aries polarity highlights the spiritual dance between various polarities: individual drives or goals and one-on-one relationships, masculine and feminine, independence and collaboration. Whether we are single or partnered, we are all in relationship to someone — any one-on-one relationship counts here — business, personal, health-related, etc. Do you have your Ascendant (or any personal planets) in the following: 0-2 degrees of Libra, Aries, Capricorn, Cancer, or 28-29 degrees of Virgo, Pisces, Sagittarius, or Gemini? If so, you may feel the effects of this Full Moon more strongly. This is also true for those of us who have our Ascendant or Sun-sign in Leo or Cancer (the Sun rules Leo; the Moon rules Cancer). 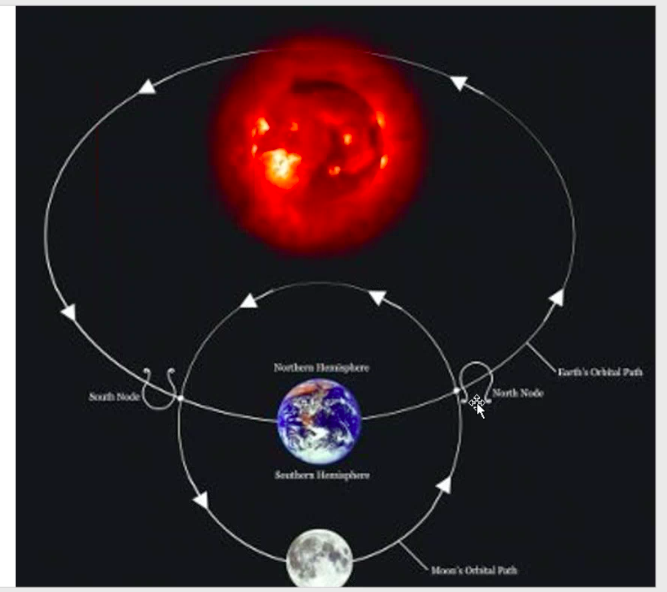 I also want to mention again that we will go over the upcoming Jupiter Station and Retrograde phases, as well as theSpring/Vernal Equinox, in more detail in the next Forecasting Forum — in fact, we apply what’s coming up to our own birth charts, so if you want to know how they will impact you personally, feel free to join us live! Pisces is the last sign of the zodiac; it connects us to our spiritual journey, as it represents a reunion with Source/God/the Universe. When at its highest vibration, Pisces unifies all dualities — it is completely aware of the oneness of all. It tells us there is a union within, that exists always, and that we can tap into it. Ask yourself: Am I (in other words, do I exist)? Could I let that be enough, just for right now? Keep repeating these questions until you feel completely relaxed and at peace. Now, close your eyes, and ask yourself: Am I my body or am I more than that? Am I the sounds that I can hear inside and outside my head, or am I more than that? Am I the sensations that I can feel and receive, or am I more than that? And, if I am more than those things, where do I begin? Where do I end? Pisces is accepting and aware of its eternal nature. It lovingly allows all, because it knows that there is no real separation between things, that separation only exists in the mind. If you have your Ascendant or any personal planets in 14-18 degrees of Pisces, Virgo, Gemini or Sagittarius, you may feel the effects of this New Moon more strongly for the next 28 days; this is also true for those of us who have our Ascendant or Sun-sign in Leo or Cancer (since the Sun rules Leo and the Moon rules Cancer). The New Moon is also the best time to set some powerful intentions for this month’s Moon cycle; intentions are best done soon after the New Moon becomes exact — and definitely not during a Moon void of course phase. This month, the best time to set intentions would therefore be between 11:04am March 6th and 2:08pm March 7th. Then again, from 3:27pm on March 7th until 11:04am on March 8th (EST – New York-time). For more info about Setting Intentions, click here. The next Full Moon will be “exact” on Feb. 19th at 10:54am EST, in almost 1 degrees of Virgo. 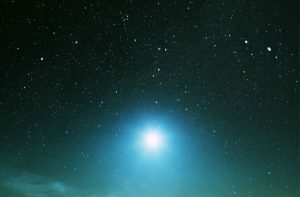 Virgo seeks personal wholeness; Pisces reminds us of an even greater wholeness — our divinity and interconnectedness with all of life. Virgo benefits from apprenticeship, whereas Pisces learns to trust inner guidance above all else — when balanced, we are able to discern without judgment, serve without obligation, and love all of creation, including ourselves. Virgo analyzes, Pisces feels: We are invited to discern what’s real, so we can make healthier choices. Do you have your Ascendant, Career Point, or personal planets in 0-3 degrees of Virgo, Pisces, Gemini, Sagittarius, or 28-29 degrees of Leo, Aquarius, Taurus or Scorpio? If so, this month’s Full Moon will affect you more; the same is true for those of us with our Ascendant or Sun-sign in Leo or Cancer (the Sun rules Leo; the Moon rules Cancer). On February 4th at 4:04pm EST, a powerful New Moon in almost 16 degrees of Aquarius becomes exact. This is the beginning of a new Moon cycle. I also recommend you watch my video on the subject. With the New Moon in freedom-loving, forward-thinking Aquarius, we have our eye on the future — the highest vibration of Aquarius gives us the opportunity to see a clear vision for our life — and we are ready to make huge improvements. Aquarius also deals with the power of ideals, technology, and inventions. We are included in the collective focus on changing group consciousness. At its best, Aquarius stands for equality and diversity, innovation and reform, collaboration and community; we strive for progress. The challenge issued is to unite and transcend differences of gender, race, and cultural or religious backgrounds. Do you have your Ascendant (or any personal planets) in 13-18 degrees of Aquarius, Leo, Taurus, Scorpio? If so, you may feel the effects of this New Moon more strongly. Now let’s talk “Intentions” 🙂 The New Moon is also the best time to set some powerful intentions for this month’s Moon cycle. Intentions are best set soon after the New Moon becomes exact — and definitely not during a Moon void of course phase. A client of mine sent me this email and I wanted to share it, because I thought that many of you might have similar questions about the New Moon Intention setting process. 1. How many intentions should I set? One site recommend 10 but I image focusing a few good and important ones is better than setting your mind on too many things. 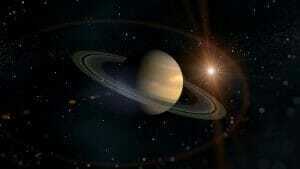 Saturn’s Journey through Capricorn until Dec. 2020! Dec.19th, 2017 at 11:49pm EST, Saturn changes signs from adventurous, truth-seeking and enthusiastic Sagittarius to practical, accomplishment-oriented and responsible Capricorn, where it will journey until Dec., 2020 (except for the period between March and July of 2020, when it will temporarily move into Aquarius, giving us preview of what’s to come beyond Capricorn). T-Square (Nov. 2016 – April 2017): Since Nov. 2016, we’ve been experiencing a T-Square involving Pluto in Capricorn, Jupiter in Libra, and Uranus in Aries. Given that this is a powerful and fairly long-lasting aspect, I figured I would write a special blog entry about it. The first thing you need to know is that T-squares are very dynamic aspects, that keep us “on our toes”, constantly growing. We can learn a tremendous amount when we work actively and consciously with the energies involved in a T-Square. Imagine a dinner table with four legs. Now remove one of the legs. You now have two legs “opposite” each other and a third one at right angles to each of the other two; together, they make the shape of a “T”. This is not a very stable, well-balanced table, as it has an “empty” spot where a leg should be. Likewise, a T-Square is a formation of 3 planets that together form the shape of a “T” in a chart — two form an “opposition”, the third one usually “squares” them both. 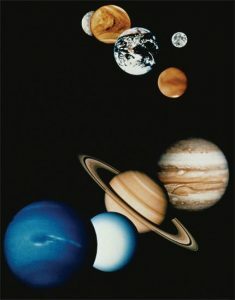 The third planet is known as the “focus planet”. Just like our table, this planet has an “empty leg” directly across from it in the chart. Why does this matter? Because the “focus planet” in a T-Square brings more stress, and thus a more urgent demand for our growth. We resolve and relieve that stress, and thereby ease the growth process, by bringing the focus planet’s higher expression to that “empty leg” in the chart. As previously mentioned, it involves Pluto in Capricorn, Jupiter in Libra, and Uranus in Aries. All of these planets have been within 5 degrees of each other since the T-Square formed back in November and will remain so until early April. Jupiter in Libra and Uranus in Aries form the “opposition” legs of the table, while Pluto in Capricorn is the “focus planet”. This is a very powerful combo. It’s asking us to be completely honest, with ourselves and others, about our intentions and motivations — especially around long-term goals. We are also asking this of our leaders right now, we want them to be honest, to have authentic intentions. We are at a turning point: Empowering others is now key! Notice when you try to force your beliefs on others — that could introduce an element of disempowerment for them and us. There is also some tension between relationships and long-term goals. We may ask how our relationships support us in accomplishing those long-term goals. At the root of this are seemingly conflicting desires: We want to expand our experience of harmony, balance and collaboration, all while passionately building something empowering over the long haul. It’s not always easy to “square” these energies. As best as you can, stay flexible, make adjustments, find creative solutions when it comes to these very different desires and focuses. If we feel boxed in to something inauthentic, we may rebel or act contrary. This will be even more true within our relationships — this could bring in some restlessness or instability, perhaps related to our business relationships or long-term goals. As best as you can, don’t take things too personally — and stay as flexible as possible. Allow there to be breakthroughs, shifts, changes. As always, change could be uncomfortable — perhaps because we like what’s familiar — or because we want change so badly that we can’t handle the in-between phase that comes will all transitions… it’s an invitation to stretch ourselves and step into the unknown. What if that “something unexpected” around the corner was guaranteed to change my life for the better? What needs to be eliminated? Changed? What would “courage” do? What if I simply surprised myself, right here and now? This T-square is thus asking us to stretch and grow along another dimension: we are invited to empower ourselves in the world by connecting to our “feeling body” and by developing a deeper understanding of our physical and emotional needs (especially for safety). At the same time, we are also invited to stretch ourselves to create a more authentic and empowered society — one that honors the unique, individual contribution of everyone — one capable of owning its fears and less attractive characteristics. How might we bring this about? The best place to start is to honor ourselves and express our unique spark. All of this accelerates the breakdown of long-standing patterns: we are invited individually and collectively to resolve core karmic lessons — shifting from an old paradigm to a new one. What might a “new paradigm” be? How can we accomplish change without discounting input from others? What if change were something we could simply allow, rather than something that involved aggression? As best as you can, take it one moment at a time, there is no need to rush anything 😉 Ask yourself: Could I allow myself to be uncomfortable, just for right now? 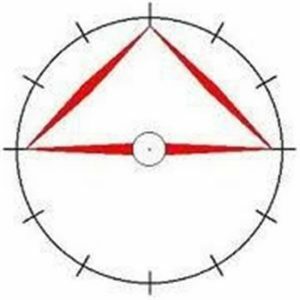 The position of this T-square in our birth chart shows the area of life in which we are developing not only courage and initiative (Aries), but also diplomacy and collaborative spirit (Libra), together with responsibility and integrity (Capricorn). This T-Square is also asking us to redefine personal and collective freedom. We are invited to release old patterns, particularly around gender, so we can each fulfill our unique role at this critical juncture on Earth. Much like the 1960’s, we are laying the groundwork for future generations right now. Just as was true then, we need to let our vision direct our thoughts and actions, rather than our fear. Simply know that it is possible — and that you are part of what makes it possible. That said — and somewhat paradoxically — bringing forth a global consciousness based on freedom, equality and mutual benefit, will mean addressing what lurks in the shadows: our unconscious… the suppressed, feared, denied, ignored, shameful, etc. In other words, the inner work not only continues, it informs and enables the vision. So, I ask myself (and invite you to do the same): What are my true motivations? If fears were driving me, what might they be? What might shift if I faced those fears — acknowledged them, brought them out into the open? What if I allowed myself to surrender to my own higher power, or to my passionately pumping, wildly open heart? Trust your inner truth! By definition, a better future pretty much always requires doing different things, or doing things differently, so be ready to correct your course or set a new one… Is there another path that leads to the goal? What if it were possible to take responsibility and be flexible at the same time? What if I forgave myself for just a moment? Even for limitations I still have… even for fears… maybe even for my phobias… for all the “stuff” I still carry around, whether from a past life or this one? As you can see, we are asked to let go of our fearful conditioning, and embrace a vision that calls for us to “live into” the highest version of ourselves. This will mean we take an innovative approach both to who we are personally, and to our interactions with others. The same is true of our perspective on justice, we’re asking ourselves: what is just? We’re seeking harmony and balance. I therefore invite you to be passionate about life. Why not fully express our uniqueness? After all, that’s what will create the shift. It’s what moves other people. It’s the best and easiest way to touch each others lives. We are definitely being pulled in many different directions with this T-Square, personally and collectively — radically different. And, as regular readers of my Weekly Forecasts know: Self-care is therefore critical. Why do I say this? It’s this simple: if we don’t maintain our physical bodies, we will not be able to maintain the pace, or meet the demands placed on us right now. The empty leg of this T-square being in Cancer, it emphasizes that message: we are reminded to nurture ourselves, especially (once again) our “feeling body”. We are being invited to pay attention to our basic needs — for love, acceptance, control, safety & security, etc. As best as you can then, take breaks — or at least slow down and allow yourself to relax. It’s important to explore ways to stay centered and grounded — seek tools or people to help you with that exploration. This is true always, of course, but holds especially true until the end of the T-Square in early April. Some of us struggle with this. Perhaps we think “I don’t deserve that” or “I’m too busy — my function in the world is more important than the body that performs the work.” Some of us hear “self-care”, and think “selfish”. When you think about it, though, selfish behaviors are generally coming from fear. And who is served when we neglect our physical or emotional health? I invite you to reclaim the term “self-care” for love. Aren’t you as deserving of your love and support as any “external” person? Where and how could “self-oriented” motivations serve you and others? What (or who) brings you comfort and support? How can you nurture yourself in these times of change? What if empowerment in the world came from being in touch with our “feeling-body”? What might we accomplish if we simply asked for what we need? In other words, “self-care” means connecting to whatever feels supportive, in order to stay grounded and regenerate; this is particularly important right now, because we are feeling very action-oriented. If everything else is moving fast, it’s good if we slow down, become the eye of the storm. If nothing else, at least we can do our best to roll with the punches, while standing in our power. 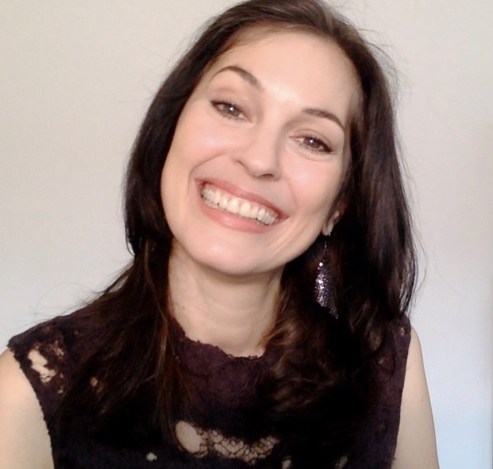 If you’d like some help with this, watch my Full Moon in Gemini video — towards the end, I invite you to do a quick experiment with me, using simple questions from the “Sedona Method”. This can support you in feeling more grounded and present (the Sedona Method is one of the main techniques I use in my coaching practice). All of this not only empowers us, it also make it easier to empower others — and remember that while force comes from fear and righteousness, true power always comes from love and openness. 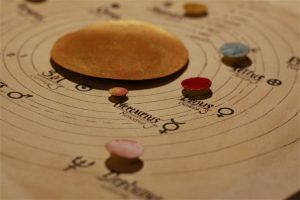 Those of us who have personal planets or points (ASC/MC) in 14-28 degrees of Aries, Libra, Capricorn or Cancer, will feel the effects of this T-Square more strongly. How does daily Astrology impact us personally? 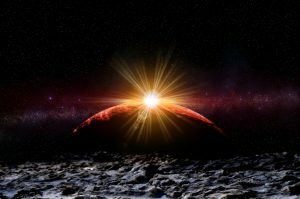 “The daily Astrology and aspects I talk about in my Weekly Forecasts and my daily posts on facebook/twitter, show how the energies are at play with each other in each now moment. 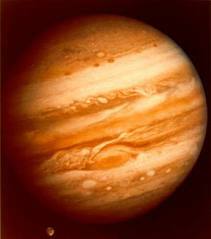 For example: how Jupiter interacts with Chiron at this time. Jupiter being in Virgo, opposes Chiron in Pisces at this time. Apart from that, there is also how the energies are interacting with each one of us — with each of our birth charts. How does Jupiter connect with your natal chart? Jupiter being in Virgo, how does it connect with your natal planets? Every planetary energy interacts with something in our own charts. Either a natal planet, a personal point (Ascendant, Career point, etc) or it simply journeys through a House in our chart (influencing an area of our lives). These interactions help us learn something, explore something new, or experience something about ourselves or the world around us that supports our evolutionary process. Of course you are probably only interested in what the weather does where you live. Who cares if it snows in Chicago if you live in England, right? 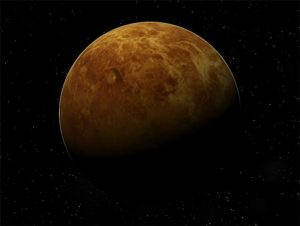 What happens when a planet goes “retrograde”? Relative to us on Earth, planets periodically look as if they are slowing down. 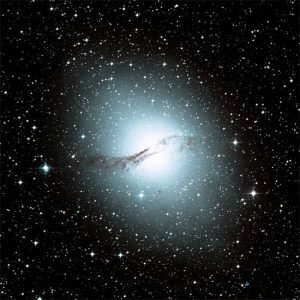 As they slow more and more, they seem to stop moving through the sky for a while, then actually go “backward”. This backward motion then slows in turn, halts — the planet is stationary again — and then, slowly at first, the planet sets off again in a “forward” direction. 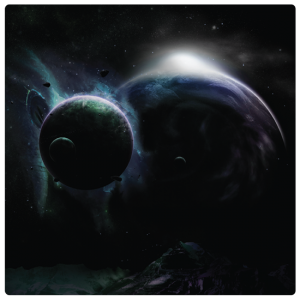 Astrologers say a planet is “stationing” during both periods when the planet is still or moving slowly. The times when the planet appears to go backward are called “retrogrades”. Thank you for reaching out and asking that question. 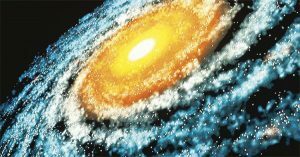 Saturn Return in Scorpio: A “Cataclysmic Event”? 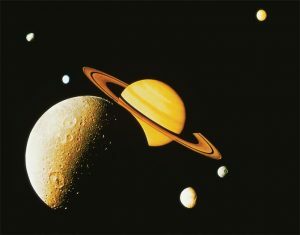 In regards to your question about the Saturn Return, usually when we are in denial about our lives/something in our life or we rationalize things, we will have a rude awakening during a Saturn transit. Saturn changed signs from Libra to Scorpio on October 5th, 2012. Saturn’s entry into passionate, all-or-nothing Scorpio is a powerful placement for the next three years, as it creates a mutual reception with Pluto in Capricorn (until September 2015) — Pluto and Saturn will be supporting each other’s agendas, as long as they are in each other’s sign. The last time Saturn changed signs from harmony-loving Libra to intense, all-or-nothing Scorpio was in November 1982 (and then again in August 1983 because of Saturn’s retrograde phase). If you remember that period, you may recall what happened in the area of relationships for you (or for your parents) at that time. This time around, we are getting a chance to go to a new level, in regards to our relationships and long-term goals. We are starting a new chapter. Saturn in Scorpio wants us to get down to business when it comes to our deep emotional bonds, either with ourselves or others. It’s time to make some decisions. No more trying to see both sides of a situation, it’s time to make some real choices. It’s do or die; it’s all or nothing. We are being invited to make some really deep changes in our lives. We are ready to put an end to things that are just simply not working for us anymore. We are powerful in our own right, and Saturn invites us to create healthy boundaries with others. Where could you set some healthy boundaries for yourself? At work? At home? With your family? We are now ready to focus on becoming whole. We can do this by taking a serious look at what qualities and behaviors need to be embraced: the good, the bad and the ugly. Bringing conscious awareness to all of who we are is the only way to feel empowered from within and to heal what was disempowered in the past. It’s time to take responsibility for who we are and what we are capable of. How can you bring “light”, awareness to the darker places inside of you? Anything that doesn’t completely resonate with us on a truthful and deeply passionate level is going to have to be cut loose. This may feel scary at first, but if we are being honest with ourselves, whatever we loose or cut loose was not adding anything to our lives anyways; so we are better off without it. We are here now to get really honest about what we are passionate about, what we want to pursue long-term that resonates with us in a deep, authentic way. We need to make good on our promises now: it’s not enough anymore to just talk about something — it’s time for actions and commitments. We can no longer waste time, we must do what is required, so that we can have deeper, more fulfilling experiences. This is true on a personal and on a collective level. What would it take for you to fulfill your full potential? What is it that you are most afraid of doing? What if you just went ahead and did it? On a collective level, we may need to look at our shared resources. These may be resources we share with other countries or the resources of our planet. It’s a great time to clean up all the pollution in the air and in our waters — and take responsibility for a healthy, whole connection to our planet. For those of us who have Scorpio planets, a Scorpio Ascendent or a Libra Ascendent in a late degree: You may be coming out of a phase of your life that was a little confusing. A phase that had to do with ending things and preparing for the next phase of you life. Now it is time to actualize yourself, to begin anew and to start building something long-term. It’s time to grow up and take responsibility for who you are and what you want. This is a new beginning for you, as best as you can, look reality straight in the eye and get it together. You won’t be able to get away with being anything less than being a mature, upright citizen with complete integrity. What is this “Moon void of course” -energy? Astrologers refer to this as a “Void of Course (VoC) Moon”. During these Moon VoC periods, we too can feel “cut loose”, disconnected from anything definite. Knowing how to handle these VoC periods is one of the most valuable things Astrology can give us. A Pluto station takes longer than any other planetary station, because it moves so slowly — and it’s intense. 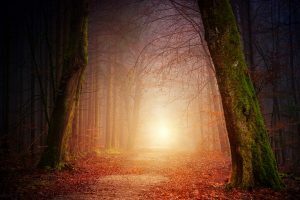 For a few weeks, before and after a Pluto retrograde phase, as Pluto starts to turn retrograde, or starts moving forward again, its teachings will reveal themselves. It is just about impossible to understand what is taking place when you’re inside a Pluto turnaround. There is no way to grasp the immensity of such a tremendous event until you’re past it. With Pluto making a challenging aspect to Uranus these days, this ups the ante; we are experiencing some very powerful internal changes. On a personal level, this energy takes us to the depth of who we are, it will go to the deepest and darkest places, until we are ready to let go and surrender to our higher Self. When it’s starting to speed up its forward movement; it is then we will most likely start to see the bigger picture emerge. This can give us the power to make deep changes in our lives. Pluto’s energy is known as the transformer — bringer of endings and beginnings — endings of things that no longer serve us and beginnings of that which moves us closer to our true soul purpose, our deepest passion. Pluto is an all-or-nothing energy; it is about empowering ourselves from within and empowering others by being truthful to who we are, by expressing our highest purpose, by tapping fully into our true nature. If you are willing, you will be experiencing a very powerful new beginning. We are being asked to take a big jump and grow beyond old, self-imposed boundaries. If you have anything in a mid degree of Libra, Capricorn, Aries or Cancer in your natal chart, this time is going to affect you in a very profound way. As best as you can, keep your focus on the things you want to create, rather than on the things you don’t want to create. Let yourself be still and peaceful. Could you allow yourself to open your heart, even if fear is present? Are there any attachments or obsessions in your life right now that are no longer serving you? Could you allow yourself to release them and relax into your heart-center? Could you be open to experiencing true power from within? What would it look like if you were truly powerful, from a place of love, not fear? People born in the 70s have their natal Pluto in Libra. With natal Pluto in Libra we are being asked to transform our relationships and feel empowered through them, in them (and empower ourselves and our partner) by being truthful to who we are. If you were born in the mid-late 70s, you will make a profound change in how you do relationships. Be open to grounding yourself in who you are and allowing things to end that need to, so you can experience a powerful new beginning that serves you and your Soul’s journey. Uranus/Pluto squares: These outer planets move more slowly through the sky and their influence is very powerful. We started to feel the approach towards the first square already back in Spring of 2011, the last exact square will be in 2015. And we will still be able to feel the effects fo this combo until 2017.